Click the button below to add the African American Hair Conditioner #African American Natural Hair Conditioner# to your wish list. Black hair tends to be fragile, dry and brittle. Dryness weakens hair, increasing the chance of breakage and damage. Daily combing and styling can also wreak havoc on your delicate strands. Imagine your hair absorbing the richness of Avocado and Pomegranate Seed Oils that moisturize, add elasticity and help repair dry, damaged hair. Together, they transform hair into soft, silky smooth and shiny locks. Our nutrient-rich conditioner for African Americans delivers vitamins, proteins, and minerals to strengthen, thicken, and encourage healthy looking hair. Our African American Hair Conditioner penetrates deep into hair fibers to deliver rich, long-lasting moisture without weighing hair down. Protects against dryness and damage while locking moisture in to keep your hair radiantly smooth, shiny and healthy. Free of sulfates, parabens, silicone, alcohol, artificial colors and fragrances. 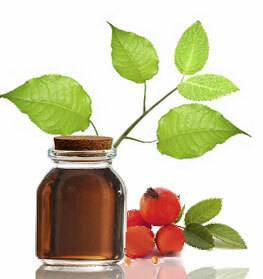 Rosehip oil is easily absorbed into the hair, leaving it shiny and smooth while repairing and restoring damaged hair. 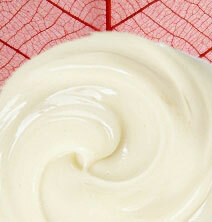 Avocado oil penetrates hair strands to moisturize and restore hair. The protein will help fill in damaged areas in cuticles, helping prevent future breakage. Pomegranate seed oil promotes the health of your hair and transforms it into bright, silky and shiny hair. The amino and essential fatty acids in Kukui Nut oil penetrate hair strands and leave hair looking healthy and moisturized. Daikon Radish Seed oil is a nutritive alternative to silicone, which provides shine, helps with detangling and nourishes dry, damaged hair. Vitamin B5 Panthenol helps strengthen and prevent damage, leaving hair softer with more flexibility. Wait several minutes to allow time for the ingredients to work. "Avoid rinsing with hot water. Instead, rinse with the coolest water temperature you can endure. Comb hair with a wide tooth comb while conditioner is in. Comb-ability is much better when hair has conditioner in it." • Make this product into a pre-poo. You can mix this conditioner with your favorite oils and apply it to your hair prior to shampooing. • Always use a wide tooth comb to prevent breakage. Invest in a seamless comb to prevent snags and tangles. • Allow your hair to air dry to prevent damage. If you need to blow dry, use the lowest setting. Aloe Barbadensis (Aloe Vera Hydrosol), Rosa Damascena (Rose Flower Hydrosol), Raphanus Sativus (Daikon Radish) Seed Extract, Rosa Moschata (Rose Hip) Seed Oil, Vaccinium Macrocarpon (Cranberry Seed) Oil, Olea Europaea (Olive Fruit) Oil, Aleurites Moluccana (Kukui Nut) Oil, Simmondsia Chinensis (Jojoba Seed) Oil, Punica Granatum (Pomegranate Seed) Oil, Persea Americana (Avocado) Oil, Cocos Nucifera (Coconut) Oil, Citrus Aurantium Dulcis (Orange) Peel Wax, Behentrimonium Methosulfate, Cetyl Alcohol, Hydrolyzed Rice Protein, Citrus Aurantium Dulcis (Orange) Oil, Cymbopogon Martinii (Palmarosa) Oil, Rosmarinus Officinalis (Rosemary) Oil, Foeniculum Vulgare Dulce (Fennel) Oil, Glycerin, Panthenol (Pro-Vitamin B5), Guar Hydroxypropyltrimonium, Citric Acid. With the all the heat damage I do to my hair, nothing has kept my hair as healthy as this nutritive conditioner for African Americans! I swear by it! My hair has been more manageable, softer, smoother and it is GROWING! I love these products and I wont use anything else! This product works. So amazing. I love it. It will heal your hair. You will feel the difference the first time you use it. This botanical conditioner softened my hair yet I could tell it was stronger and healthier as a result. Really the best ever! This conditioner for relaxed hair makes your hair soft and very manageable. It is very moisturizing to your hair and can help to repair chemical damage done to the hair. This treatment is the best I have ever used!! It meets expectations and beyond!! If you want gorgeous, soft hair, try this. My hair was dry and breaking. It was breaking whenever I washed it, combed it, brushed it, or did nothing at all. My stylist recommended this product to me and I've been using it ever since. My hair is softer, curlier, and healthier and my hair is growing again. I LOVE this nutritive conditioner! I have fine hair, flat-ironed and blow dried for years. After using this product, my stylist commented on how dramatically the texture had changed. It was no longer broken or dry. This is a hair saver. This conditioner is amazing! It's probably the best I've ever used. My hair is coarse and its hard to find a product that doesn't weight it down and makes it look healthy. But after just a few uses, this conditioner did just that. It's great! These are the best hair care products for African Americans that I have used. This conditioner is absolutely incredible for damaged relaxed hair. I blow-dry and hot iron my hair, and the ends are always a mess. I use this a few times a week with the leave in moisturizers and the change is phenomenal. I love this product, of all of the products that I've tried for moisture retention for natural African American hair, this is true to it's claim. It smells great!!! You feel the moisture right away. My hair becomes extremely dry and with manipulation it doesn't help. Love all of the natural oils and the creamy consistency does wonders for my hair. The jar was packed to the gills, well worth the money. Very excited about this product. The dryness from winter and some hormone problems had made my hair extra dry. This product from first use has helped. what I like especially it is moisturizing yet it does not leave my hair greasy or weighed down. Can't wait to use it again. Just Nutritive is the hair product line I've been looking for nothing like it and I'd been looking for years from a product that was heathly and worked, I'm very very picky. I'm telling people about Just Nutritive. I found them from praying. I was exhausted one night trying to find a good hair product and I said a prayer. Right after that found this website. I was so thankful. My husband was so happy for me and now he uses the products too and really likes it. This conditioner detangles my hair so easily. My hair is super curly in texture and gets so dry. This conditioner makes my hair so soft. If I want extra conditioning, I would mix either coconut or olive oil to the conditioner.